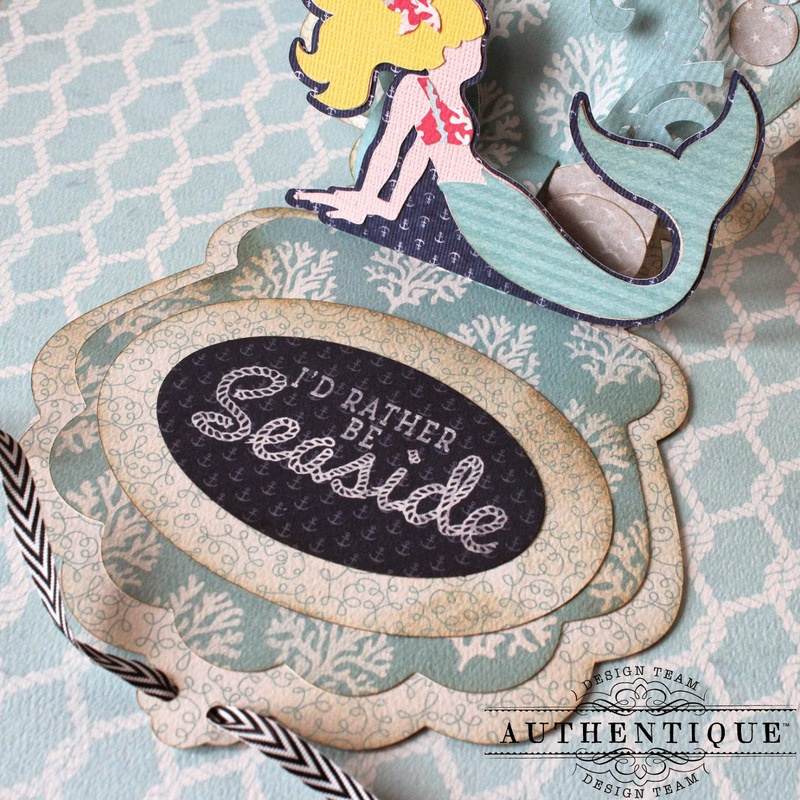 When I first saw the Seaside Collection, I knew that I wanted to create this gorgeous card. I had purchased the Silhouette cut file quite awhile ago, saving it for the perfect papers. 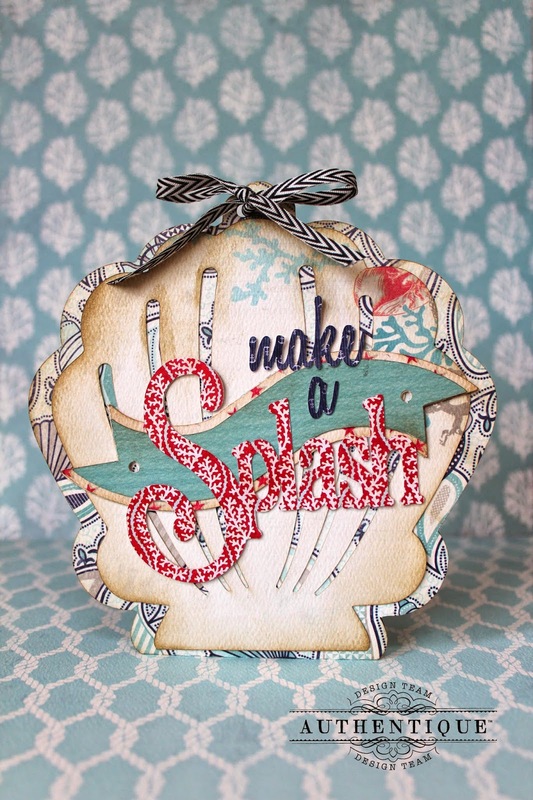 The shells, coral and seaside patterns were perfect foils for this project. In the closed position, the pops of bright red look amazing against the light aquas, creams, and blues. 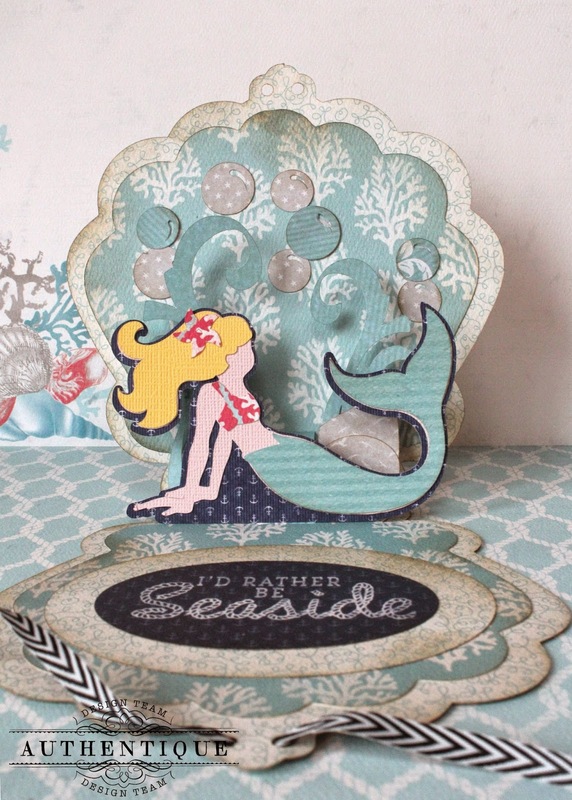 To add to the beachy look, I inked most of the edges of the die cut pieces. 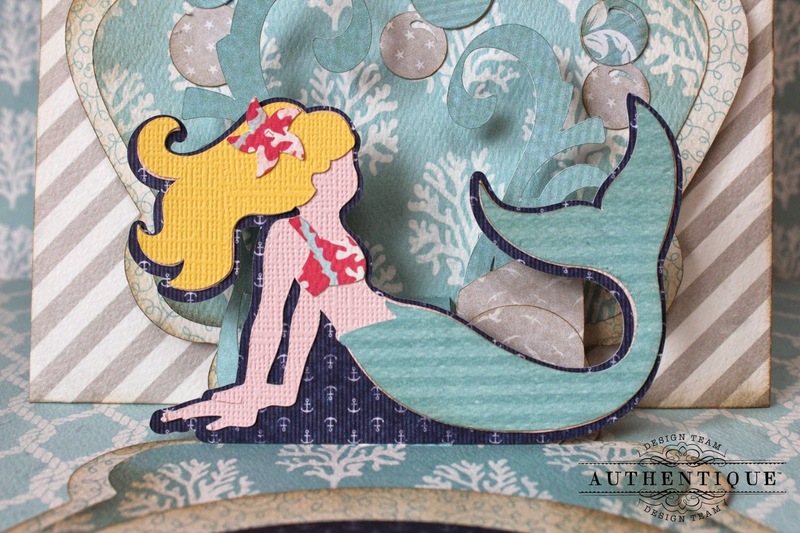 To get the mermaid, I used a few pieces of Core'dinations cardstock in Pastels. 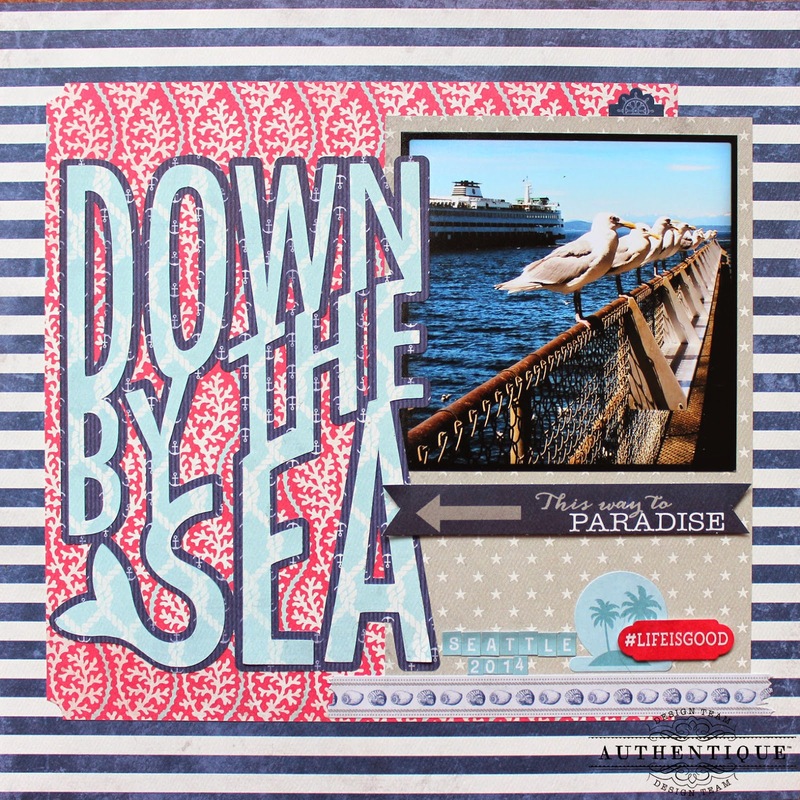 The weathered cardstock mimicked the weathered look of Seaside. Added a few bubbles behind her, and she's perfect. To add the sentiment, I used a die cut from the Components sheet. Lastly, I added a piece of May Arts ribbon to complete the card. When it's closed, just tie it into a bow. Authentique's paper is so thick and amazing, that it also makes perfect envelopes. 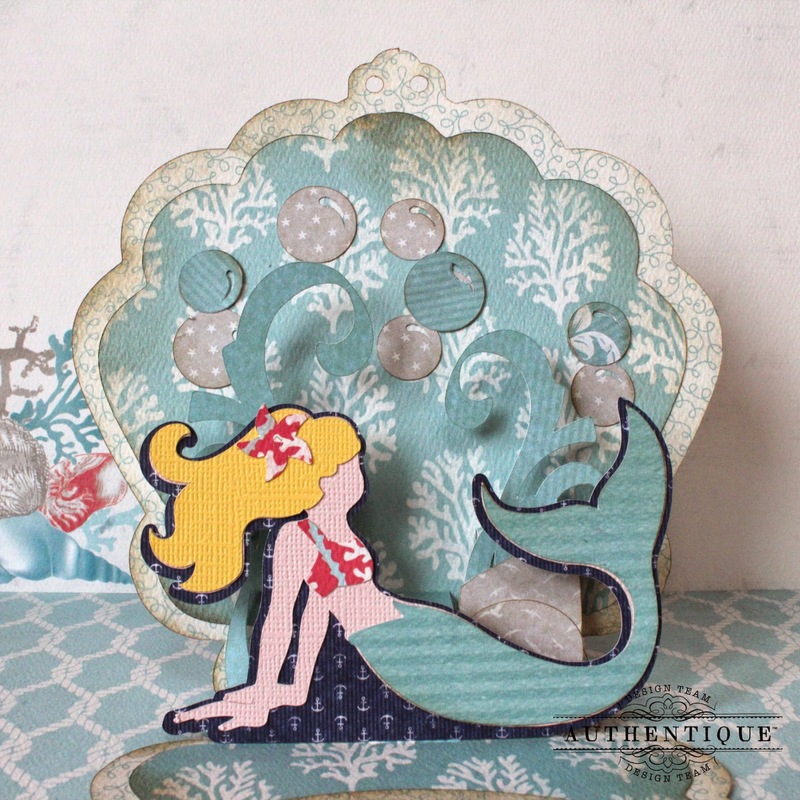 This one was created using a piece of Seafarer and an envelope punch board. This layout is a great way to showcase how really amazing papers can create really quick layouts. I used my Silhouette to cut this perfectly amazing title, and added pieces from the Components die cuts, Details sticker sheet and Petite Type alphabet stickers to finish it. Fantastic! I love this new collection and your projects are very inspiring! Gosh, so beautiful! I especially love your interactive card. Layout truly is a great presentation of the collection. Bravo!!! 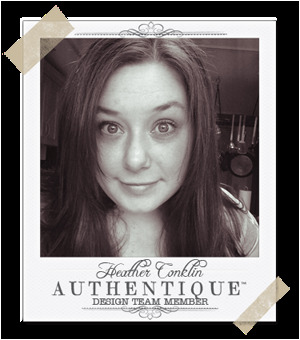 Your beautiful card and layout is outstanding!! 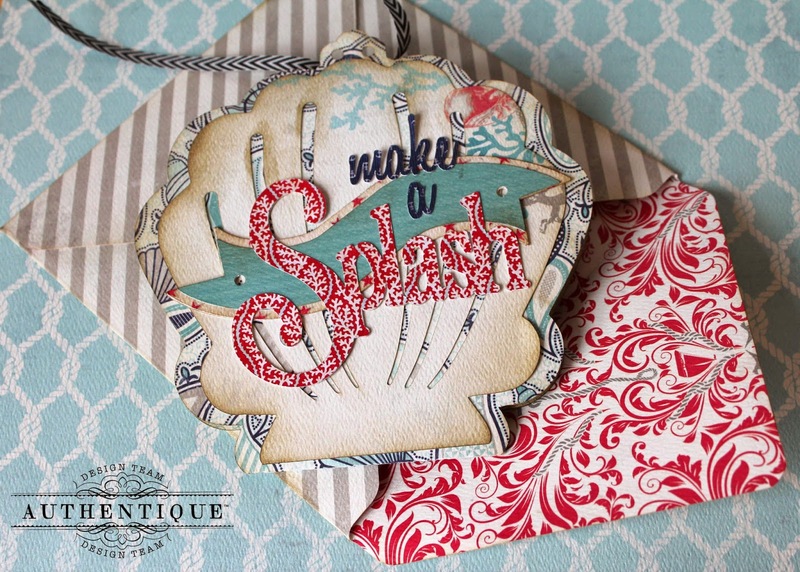 Great match up of the Silhouette cut and cardstocks with this collection! Turned out fabulously! Love it!